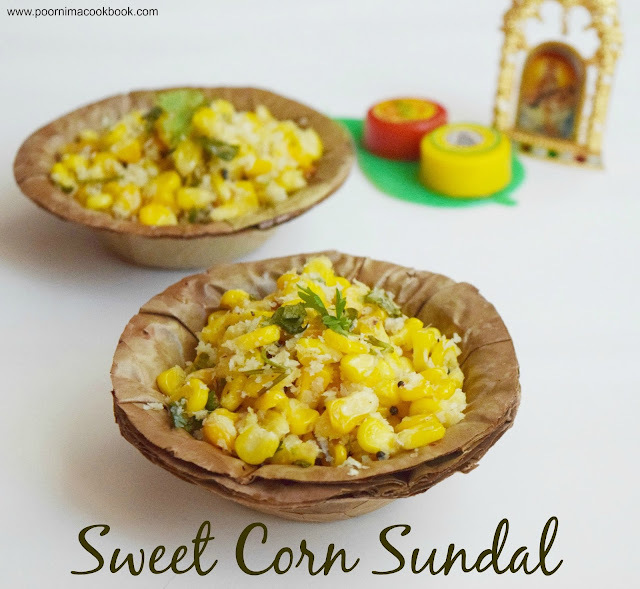 Sweet corn sundal is a delicious, healthy and easy to make recipe to serve as a prasadham / offering to god during Navarathiri festival. 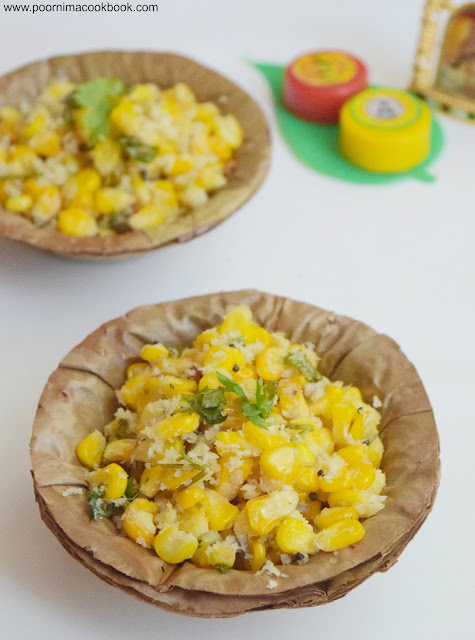 As sweet corn don't need soaking like other legumes (chick peas, Rajma), this can be prepared within 15 to 20 minutes and perfect recipe to try for beginners! I am sure your kids and family members will love this sweet and tangy corn recipe with South Indian seasoning! 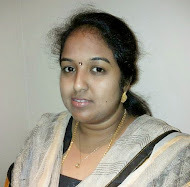 Wash and cook the frozen sweet corn kernals in microwave oven for 2 to 3 minutes till it is become soft; keep aside. Grind green chillies, coconut and ginger into a coarse paste without adding any water; keep aside. After it crackles add the grounded paste. Sauté this in low flame for a minute till the raw smell goes. 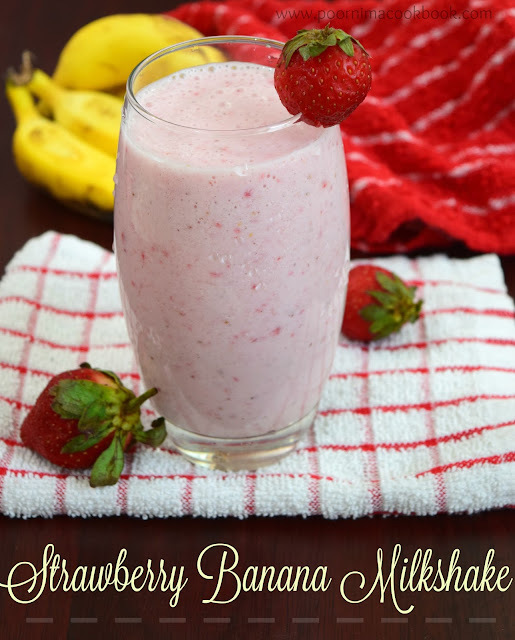 Now add cooked corn kernels and salt; continue mixing till it is mixed properly. Switch off the gas. After that chopped coriander leaves and lemon juice; give it a thorough mix. Now your tasty sundal is ready to serve! Instead of microwaving you can also pressure cook the corn kernels for one whistle and use it for the sundal preparation.